CCHS is always in need of donations of dog or cat food, animal supplies (such as bedding, toys, and grooming products), and monetary donations. Donations of physical items can be brought to Petco on Saturday from 11:00 - 4:00. All contributions are tax deductible. Thank you for your support. We couldn't do it without your help! CCHS is an all-volunteer organization. Our caring and dedicated volunteers represent the heart of our organization and without them it would not be possible for CCHS to do the work that it does. If you would like to join CCHS as a volunteer, we would love to have you and would appreciate any time that you have to contribute. 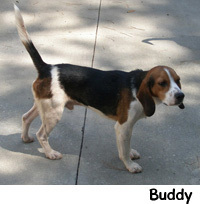 We always need volunteers to help with our weekly pet adoption sessions at the Augusta Petsmart. Volunteers must be at least 16 years of age, or be accompanied by an adult. Volunteers help to socialize our adoptable animals and answer questions from interested families. Having our animals out of the kennels where individuals and families can interact with them is both fun for the animals and increases their chances for getting adopted. If you love animals, this is a great way to spend some quality time with some really wonderful animals. If you would like to be an adoption-day volunteer, simply come to the Petsmart during either our Saturday (11:00-3:00) or Sunday (1:00-4:00) adoption sessions. It's very easy to get started and any time is appreciated. Volunteers are also needed to help with our capital campaign to raise funds for a low-cost spay/neuter clinic, animal shelter, and dog park. If you are interested in helping with this effort, contact CCHS president Donna Evans at 706-860-5020. 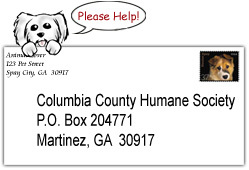 Through Food Lion's "Shop and Share" program, you can link your Food Lion MVP card to the Columbia County Humane Society in order for us to get a donation each time you shop. For more details, go to www.foodlion.com. Click OK, then click "Add MVP Cards"
Click Next and confirm your innformation. If you need any assistance, please call 706-650-2311. Or, you can leave your MVP # and other info with us at our adoptions, and we will take care of the rest!